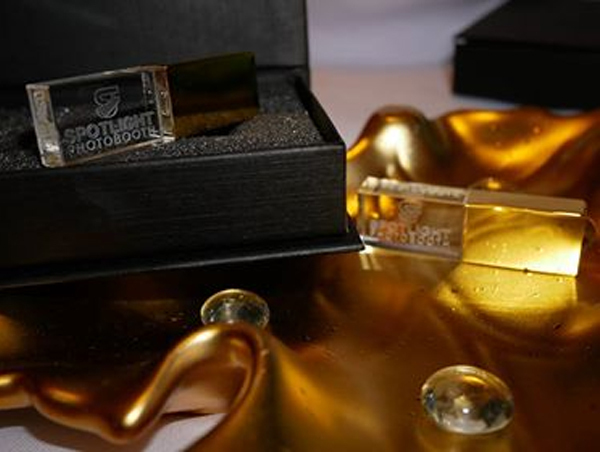 Luxe Chrystal Spotlight USB drive in gold. Digital images shipped to you after the event. GIF feature - Animate your still images effortlessly. You can even download these GIFs in a format that makes sharing on Instagram easy. Guest Book & Service. 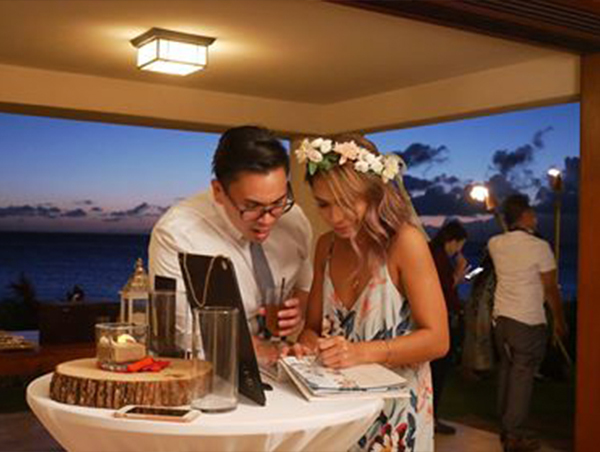 Guests will place a copy of their prints and write a personal message just for you. We provide the album, pens, prints and service. An additional 4.166% Hawaii sales tax will be added to the final invoice.